Oh no... I have been dreading a 1-rating post the whole year. I thought I was gonna end this year without one, but here it is. My first 1-rating, because I DNF-ed this book. I had more books that I DNF-ed this year, but I always contact the person that requested the review and decide together what to do. For the other books that I DNF-ed this year, I did not write a review. 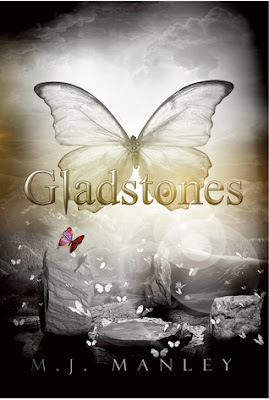 I had contact with the publisher of Gladstones and told them what was bothering me. They told me to choose whether to write the review or not. I believe the author can get better from feedback, so that's mainly the reason I'm writing this. I tried picking up the book again, but I can't finish this one, and I'll tell you why. Writing style: The writing style is okay! It actually fits the place where the story is set and it fits the characters as well. The first page felt very magical to me, very fairy tale and I do believe M.J. Manley is not a bad writer and is able to write good books with this writing style. Confusing: The whole story starts of by explaining a couple of things, but then gets going and gets more confusing while you keep reading. I don't understand a bit of what's happening, because you read about characters in the first few pages that you don't see for another 40. You read about characters that weren't even introduced yet... The book lost me after the second page, and I made it to 65, it does not get clear at all. I just don't understand why certain choices are made and the reaction from the characters is just as confusing. Grammar errors: A big no-no for me. Very easy to spot grammatical errors in this book, I do believe this book needs a couple more proof-reads. Exclamation marks: I have a thing for too many exclamation marks. It sets me off when it's used too often or at inappropriate moments. It just feels like the writer is trying to make every situation bigger by using exclamation marks and I just don't like it... But maybe that's a little pet peeve from me. Characters: Betty, Buddy, Bertie? Her Ladyship or M? Doris? Hetty? I don't know anymore. First; I'd use names for 3 important characters that are easy to be kept apart, Buddy, Betty and Bertie is just confusing. Then Her Ladyship, is called M. as well I guess? Doris and Hetty are introduced in the first 2 pages but I don't see them for the next 60 or so.. Just introduce the characters when they're important. Hear me out; I HATE writing negative reviews, but I have to as a credible reviewer. I tried doing it in a critical but constructive way without hurting anyone. I hope the author doesn't quit writing, because the writing style was beautiful. I believe this story needs more work before it should be published. This book is worth 1 apple right now, because I DNF-ed it and I don't plan to, with the big pile of books I still want to read.. Sadly. How do you feel about writing/reading negative reviews?